President of the Republic, General Michel Aoun, met on Tuesday with visiting Iraqi Vice President, Ayad Alawi. 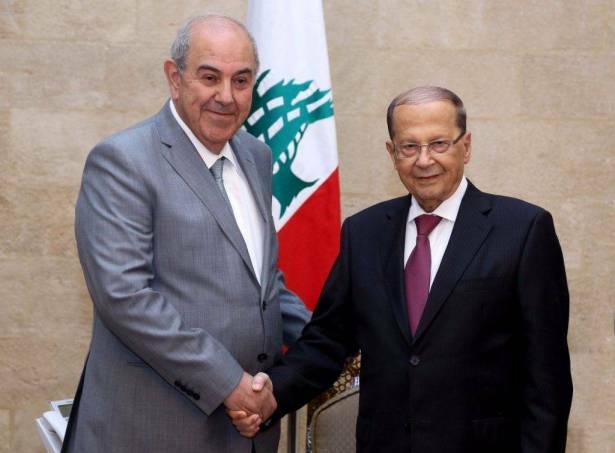 Aoun confirmed to his visitor Lebanon's will to defeat terrorism. "We are working on bolstering Lebanese-Iraqi relations at all levels," Aoun added. In turn, the Iraqi Vice President confirmed Iraq's solidarity with Lebanon in its fight against terrorism. He also relayed his country's intention to alleviate obstacles that hinder the work of Lebanese businessmen in Iraq.